Extremely lightweight and portable. Adjustable from 50 to 77 inches. Weighs 5lbs. 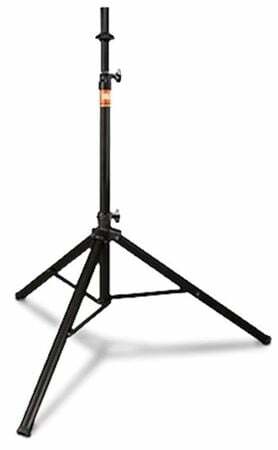 Order your JBL manual height adjustable speaker tripod stand today! JBL manual height adjustable speaker tripod stand. Price for single stand. Speaker sold separately. To assist you in lifting your speaker, we’ve added a durable Lift Ring on the telescoping tube to give your upper hand something to push against when raising the speaker to the desired height. In addition to being able to handle heavy loads, the JBLTRIPOD-MA is easy to easy to carry from gig to gig because it’s made from strong, yet lightweight aluminum. Even though it’s so light and convenient to carry, it does not sacrifice strength, rigidity or durability - it’s Hard Coat Anodized finish means it will not rust or corrode. 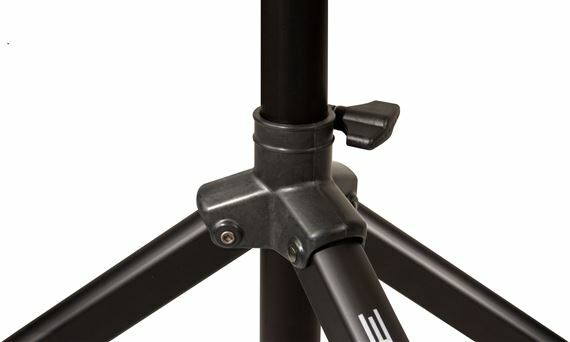 JBLTRIPOD-MA features an ergonomic “Z” knob for tightening the tripod legs into place and the telescoping tube to the exact desired height. For added security, we’ve added a locking pin mechanism that ensures the position of the telescoping tube. With a JBLTRIPOD-MA, your speaker will always be safe and secure, exactly where you want it to be! In our load tests - performed dozens of times - the JBLTRIPOD-MA does not show failure until well after its load capacity is applied. 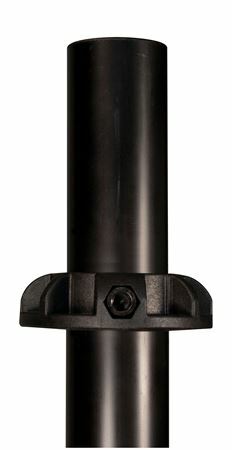 Long after most stands in its price range fail, the JBLTRIPOD-MA will continue to perform and securely hold your speakers. JBL has some great quality stands and it has held up great. can't wait to use this!!! looks good, seems sturdy, can't wait to use once my Harvey flooded home is ready for the rehearsal space that was underwater a little over a year ago! For a $20 stand it's fully adjustable w/ boom and fairly substatial. Would buy again. 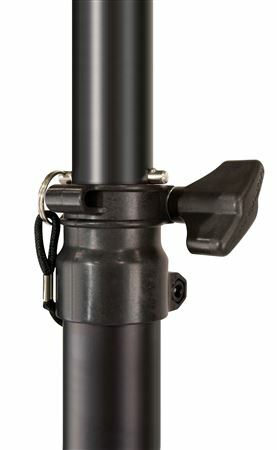 These are a nice rugged stand, very solid I like that they pin in pace so they wont drop down unexpectedly.